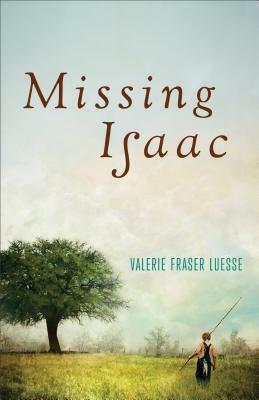 Missing Isaac is a touching tale! The setting and social struggle are vividly portrayed, as Pete McClean comes of age in a small, rural town in 1960s Alabama. The cast of characters is memorable, and their emotional journeys are quite engaging. The events that transpired and the growth of the characters felt authentic, and I appreciated the depth found in the story. Having enjoyed this well-written debut, I look forward to reading more from Valerie Fraser Luesse. It is 1965 when black field hand Isaac Reynolds goes missing from the tiny, unassuming town of Glory, Alabama. The townspeople’s reactions range from concern to indifference, but one boy will stop at nothing to find out what happened to his unlikely friend. White, wealthy, and fatherless, young Pete McLean has nothing to gain and everything to lose in his relentless search for Isaac. In the process, he will discover much more than he bargained for. Before it’s all over, Pete–and the people he loves most–will have to blur the hard lines of race, class, and religion. And what they discover about themselves may change some of them forever. Lauren K. Denton’s debut novel embodies everything I enjoy about Southern fiction! From the charming setting of Sweet Bay, Alabama, to the quirky characters that inhabit The Hideaway, this story enchanted me from beginning to end. I loved the intertwining of past and present that led to an unexpected journey of self-discovery. 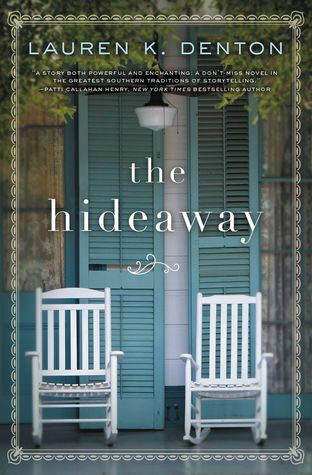 A heartfelt tale of family and friendship, The Hideaway is sure to be one of my favorite summer reads!